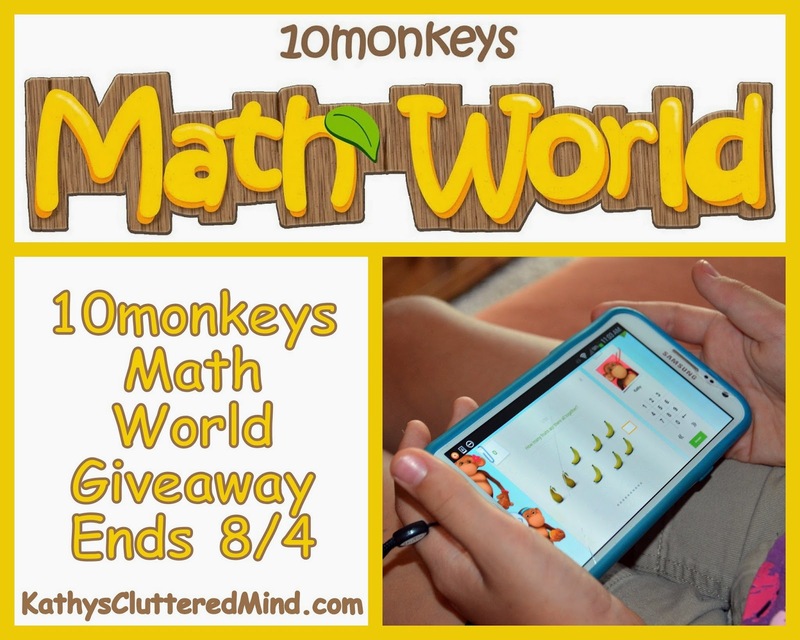 A few weeks ago I shared a review about 10Monkeys Math World. Well today is your lucky day, because I now have a giveaway for 3 - 1 yr subscriptions. This online math program is the perfect supplement for children in public school, private school or homeschool. Three lucky winners will receive a 1-year membership to 10Monkeys.com. Only the first entry is mandatory. Other entries are optional and give you extra chances. This giveaway is not affiliated with Facebook in any way. The winner will be posted on the blog and will be emailed. Winner must reply within 48 hrs with their contact information or another winner will be chosen. Activation codes will be emailed to the winners by me. Life of Fred and CTC math! We have been doing Math-u-see. Thank you for the giveaway. Argh! Lovin' the ship in a bottle craft! I love doing fractions with my kids! I like multiplication. We use Saxon Math. I like math that is made fun. :) I enjoy some algebra if it's not too advanced. There are times when the children are wanting to learn something spur of the moment and I'm so glad for our collection of ebooks :-) The craft turned out great! I love your ship in a bottle, what a great activity to accompany the ebooks.